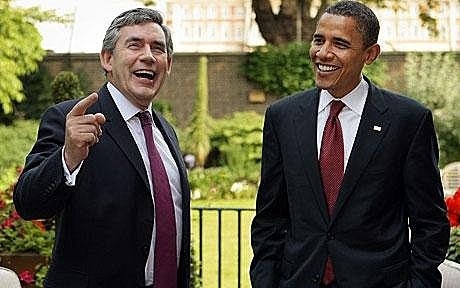 U.K. Prime Minister Gordon Brown recently visited the United States, where he spent some quality time with President Barack Obama. As is usual in such visits, the two of them exchanged gifts. Brown’s gift to Obama? A pen holder made from wood from the anti-slave ship HMS Gannet. The gift was both classy and priceless, showing an understanding of the significance of Obama’s ascendence to the presidency. Obama’s gift to Brown? A set of 25 DVDs. 下一篇： ◎聯合國：2050年世界人口將逾90億◎郭易老師：90億人口 = 9 billion population，你準備好跟其他89億人競爭了嗎?